Power Star Pawan Kalyan, chief of Janasena, is known for his helping hand. His fans and those close to him sing praises about his down to earth nature and kind attitude. 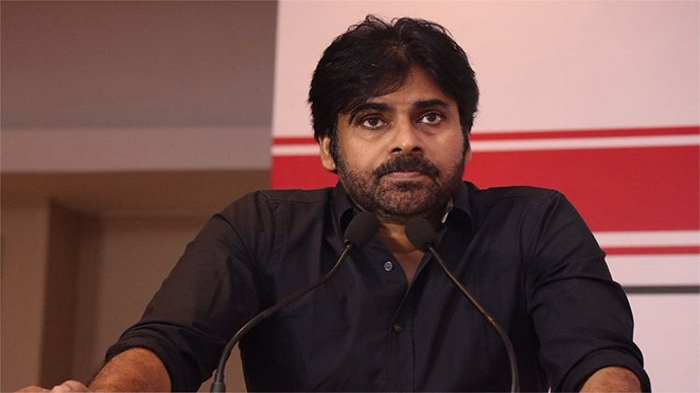 In the meantime shocking allegations are made on Pawan Kalyan. It is known that a die hard fan of Pawan Kalyan, Raja Manohar got injured while participating in a bike rally organised by fans in Devarapalli. His kidney got damaged and he is undergoing treatment at a private hospital. Now , Veera Babu, father of Raja Manohar said till now Pawan Kalyan didn't enquire about his son's well being. Sharing his ordeal , he said, 'We hail from Hukumpeta in Gopalapuram Mandal in West Godavari. On October 9th, My Son Raja Manohar took part in the bike rally conducted in Devarapalli. It's then a Two Wheeler hit my son and ran over him. Friends rushed Raja Manohar to a private hospital in Rajamahendravaram. Doctors saved him by removing the damaged kidney. I spent Rs 5 lakh for his recovery by borrowing money. And now, He suffered a lung infection. We are staying in the hospital for the past 10 days. I will be grateful to the donors who come forward to save my son's life'.